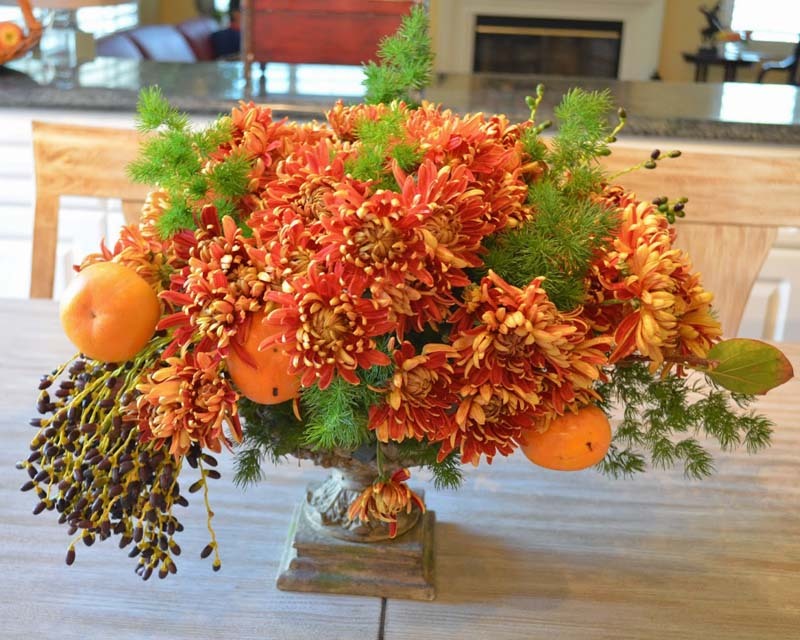 Fall and Winter are great times to put on our designer decorating caps and devise creative Fall centerpiece ideas and unique ways to decorate Fall floral arrangements for our Holiday mantles and tablescapes. 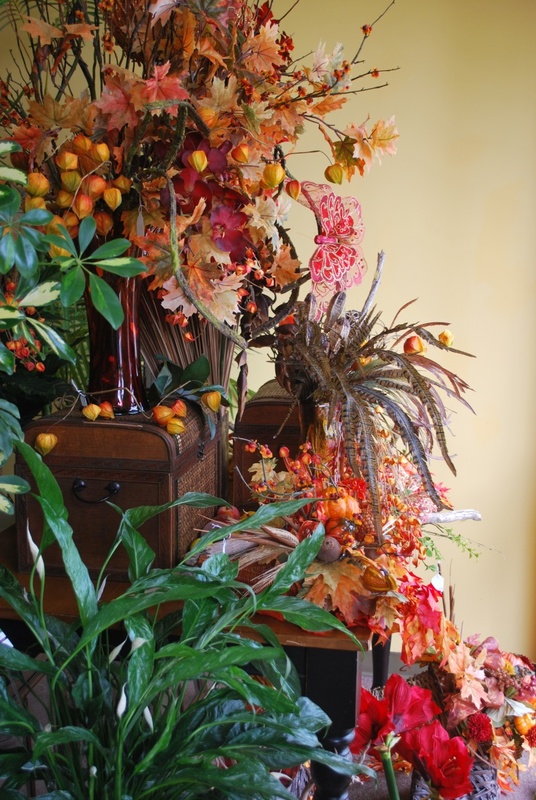 We want our winter decor to delight our eyes and senses with the warmth and magic of the season, as well as impress our guests! 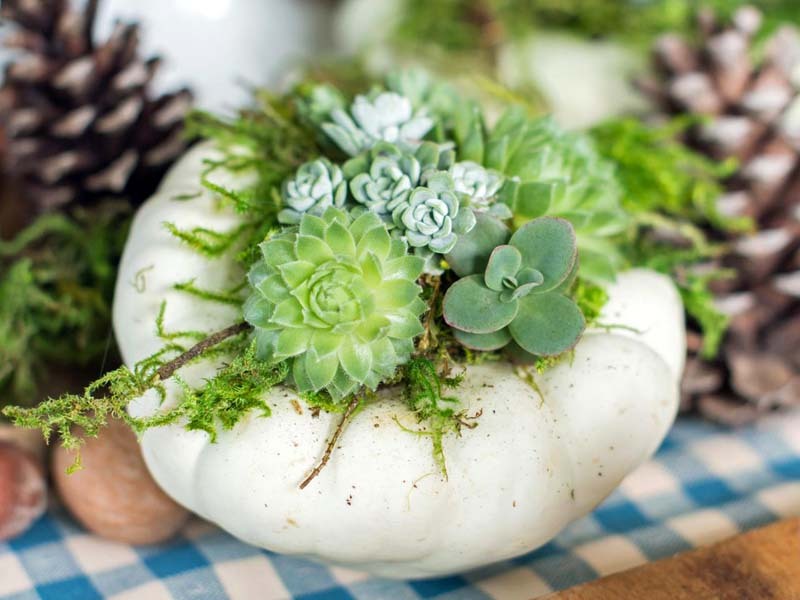 I think the easiest way to do this is to start with a great idea, and the centerpieces and floral arrangements featured here are some of the best around! 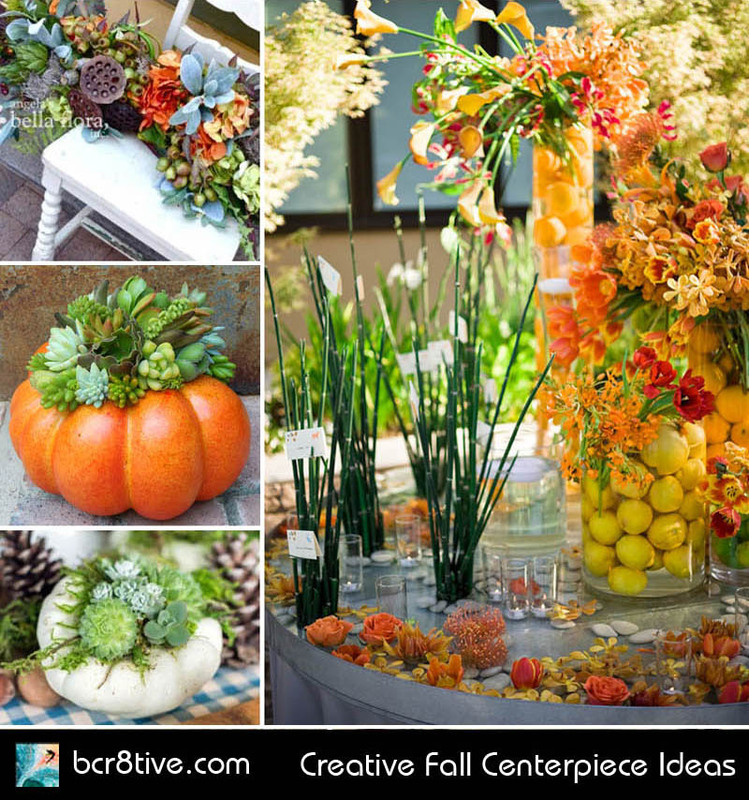 These highly imaginative and innovate people have designed these ultra gorgeous Fall displays and they’re all great food for thought. 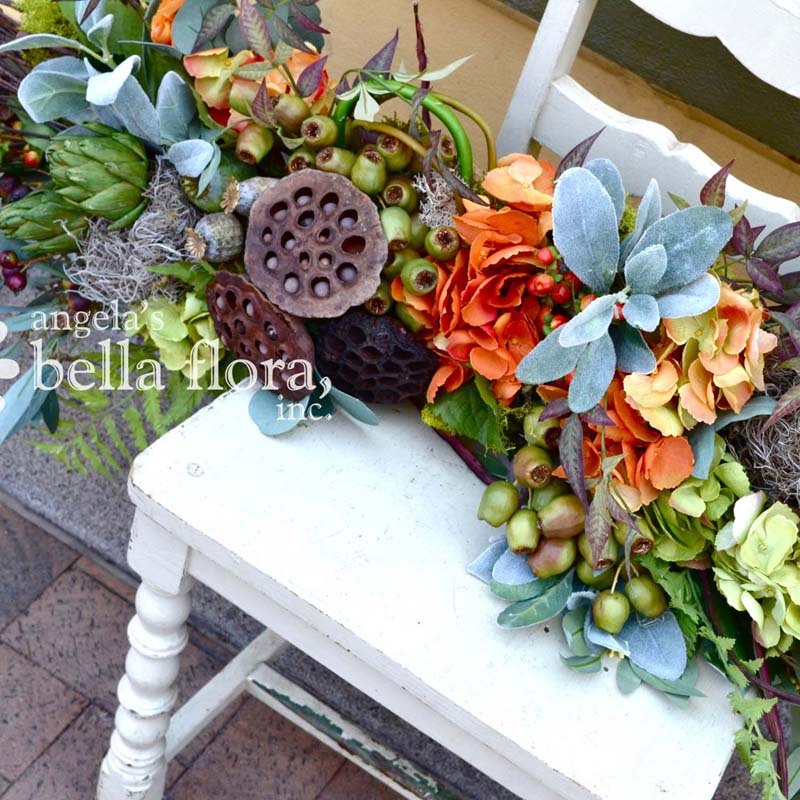 A rustic look is warm and comforting and lends a lot of character to the floral display. 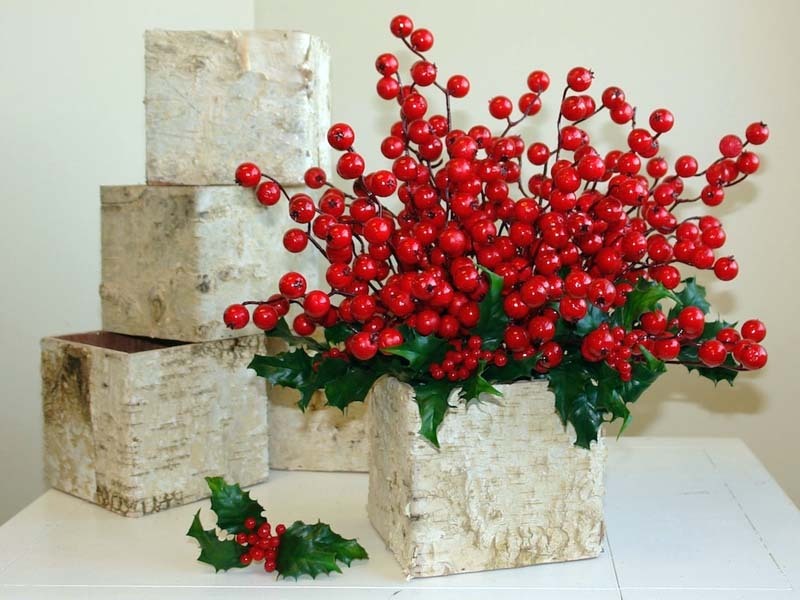 It can be achieved by choosing natural materials and pairing them with various flowers and greens. 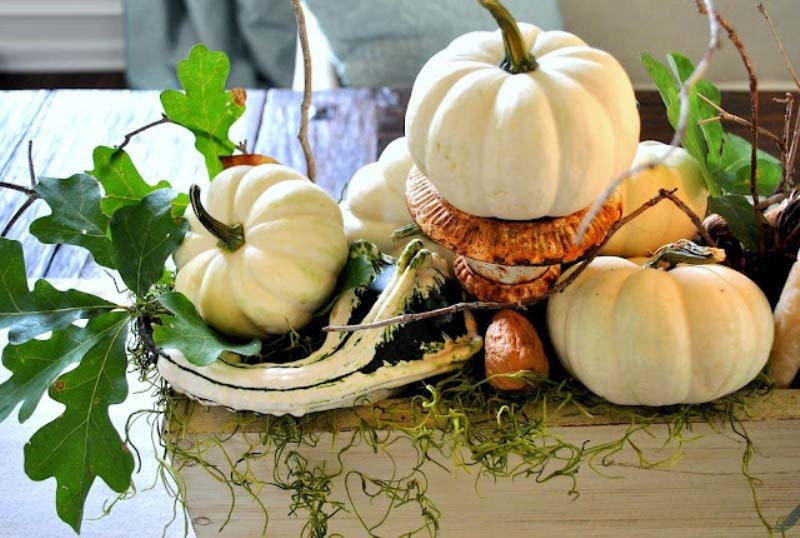 Vases are creative, they can be made out of pumpkins or natural wood. 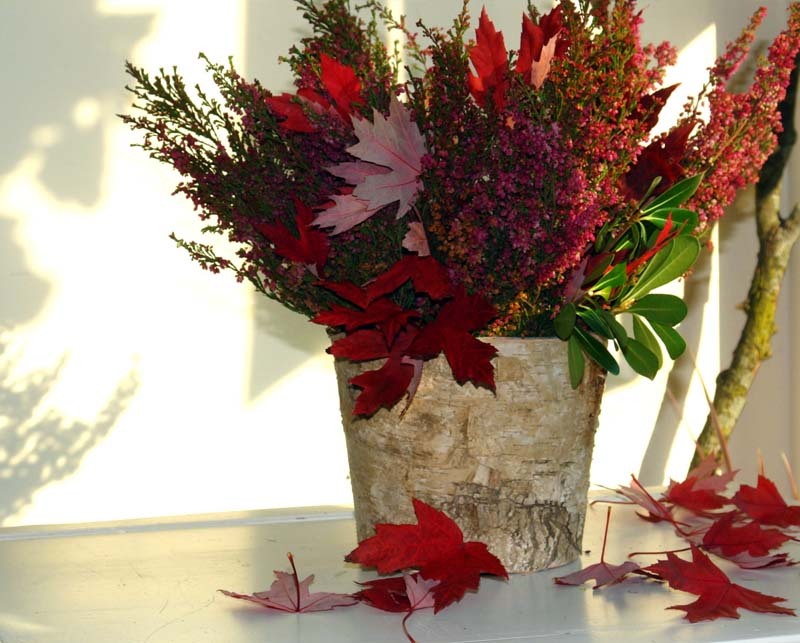 Birch Bark Vases and Rustic Bark Covered Pots or Twig Planters are popular now and most are made so they can be reused. 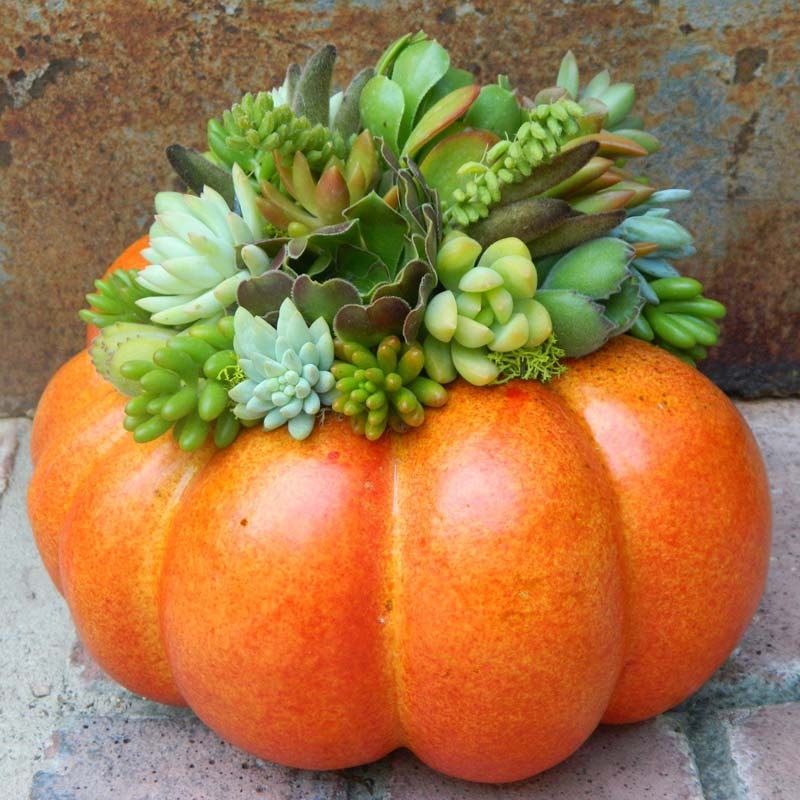 The talented Holly Chapple shows us an option in her Floral Pumpkin tutorial, using planter foam and never cuts the Pumpkin open. It’s simply beautiful! 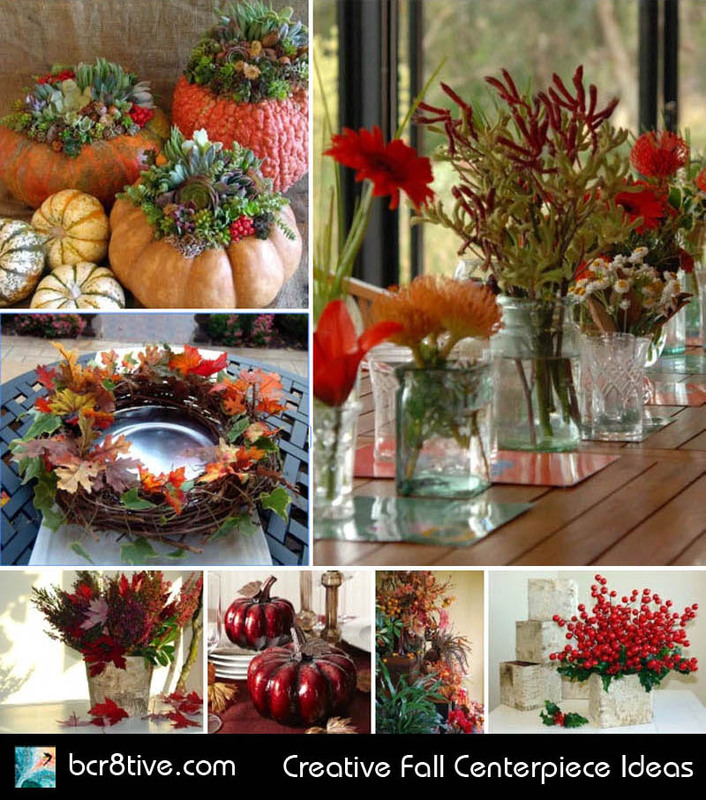 Create glass jars as decorative vases too. 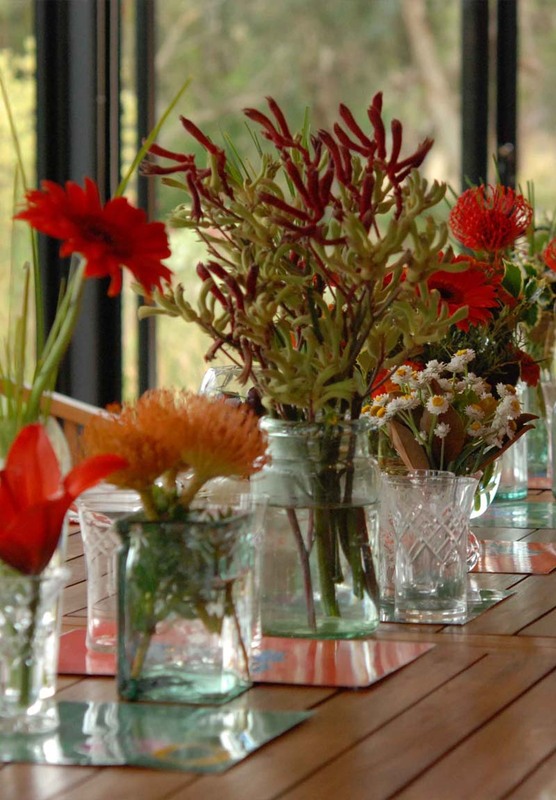 Start with Mason Jars, Apothecary Jars, Hurricane glass jars and glass footed vases or even recycled glass containers. 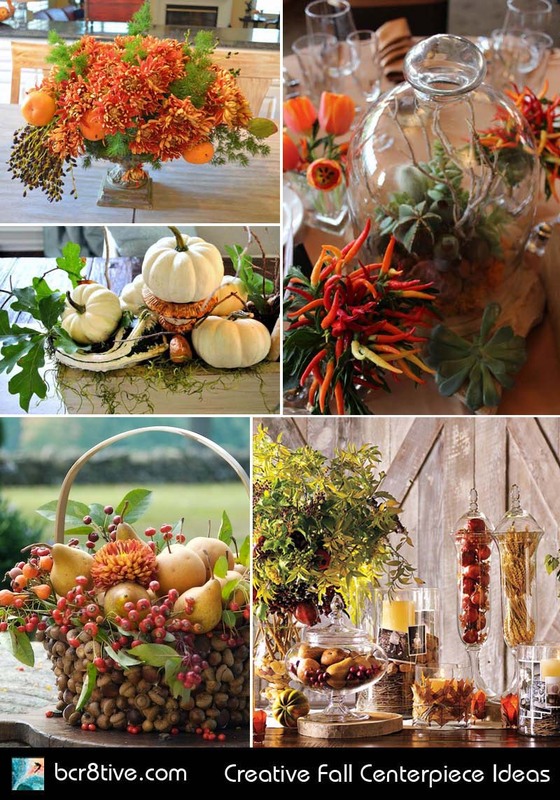 Fill them with dried foods that have a long shelf life such as whole coffee beans, dried beans, nuts, berries, corn kernels, bird seed, acorns, pine cones or stones using colors from your chosen palette. You can also try fresh fruit or vegetables. There are lots of instructions on the web for many different DIY methods. 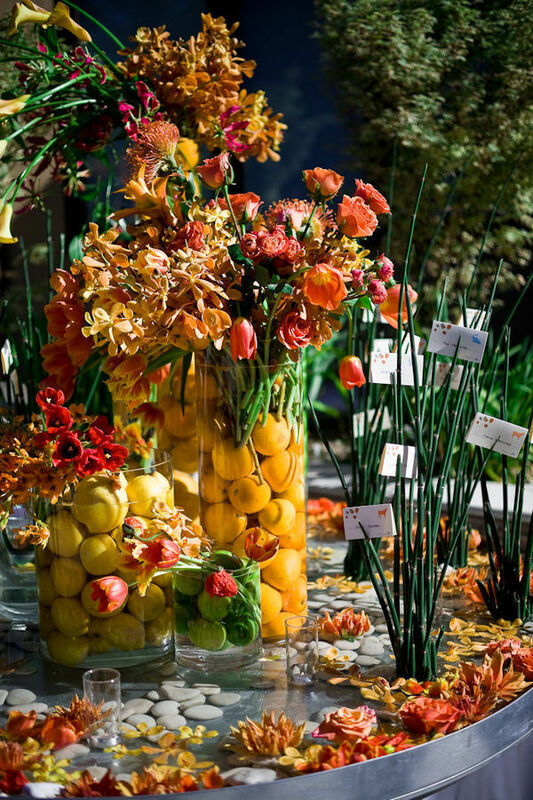 For your flowers, use fresh, dried, silk or even a combination. 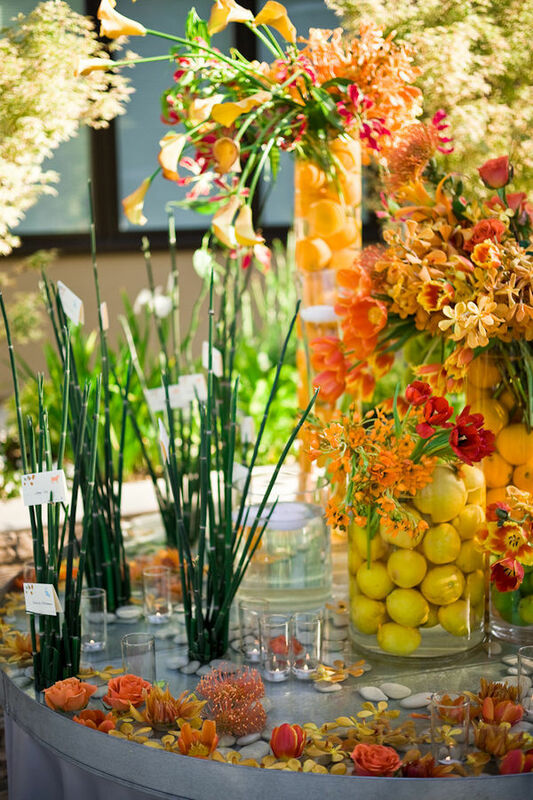 Use natural products that elicit the idea of the outdoors. 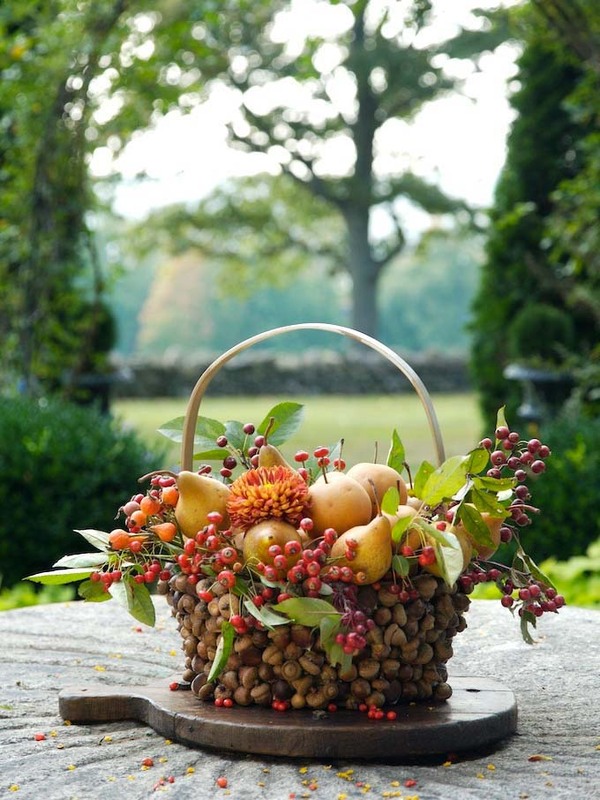 Combine flowers with fruits, greens, twigs, grasses, leaves and berries. 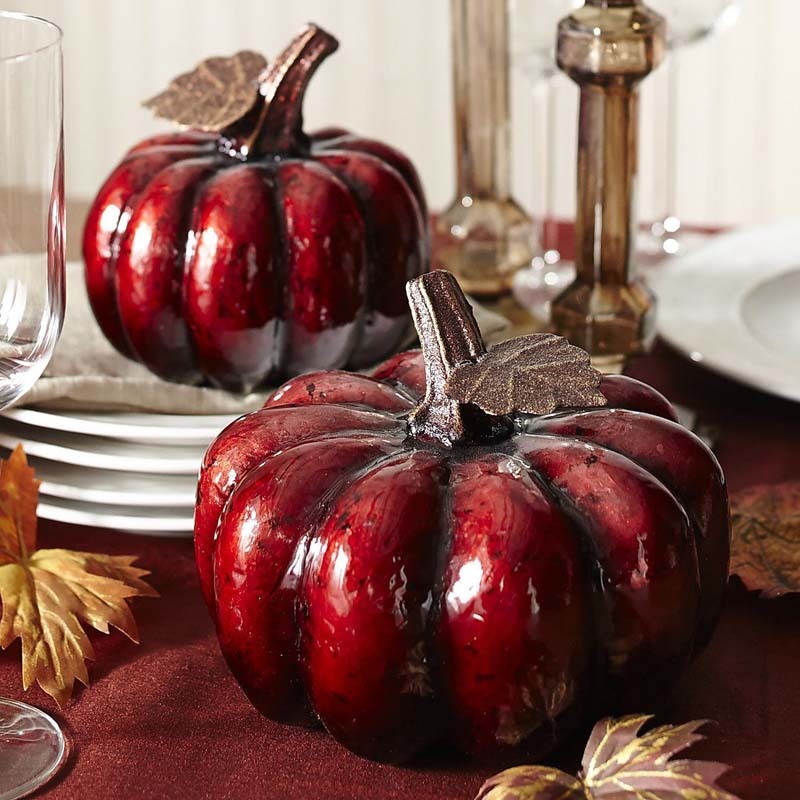 Don’t be afraid to pair the unusual. 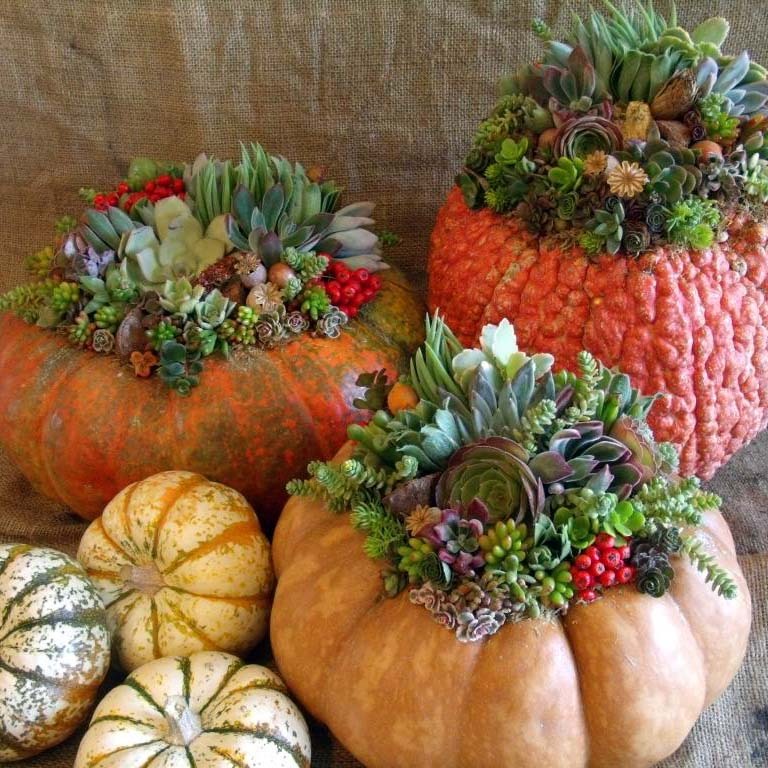 Check out the Pumpkins filled with Succulents below – So creative! 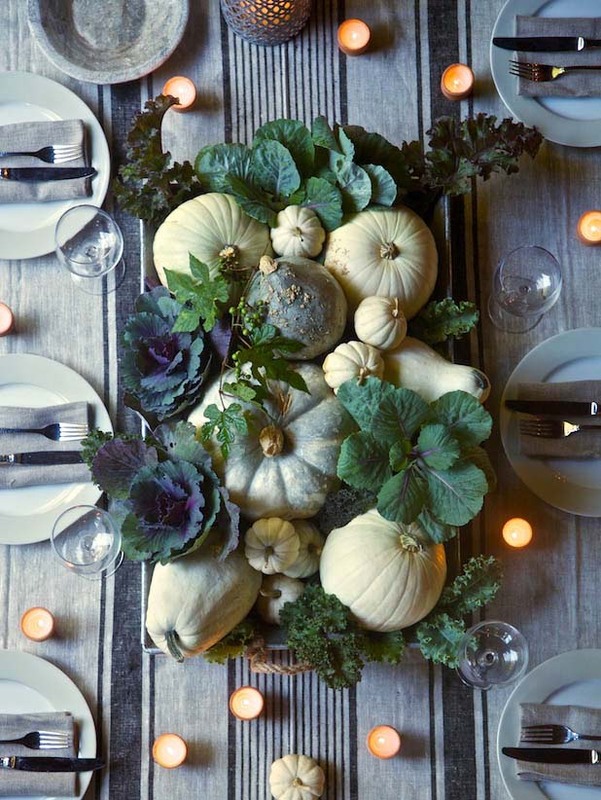 Include organic elements on your tablescapes with natural looking runners like eucalyptus, vines, or artificial moss. 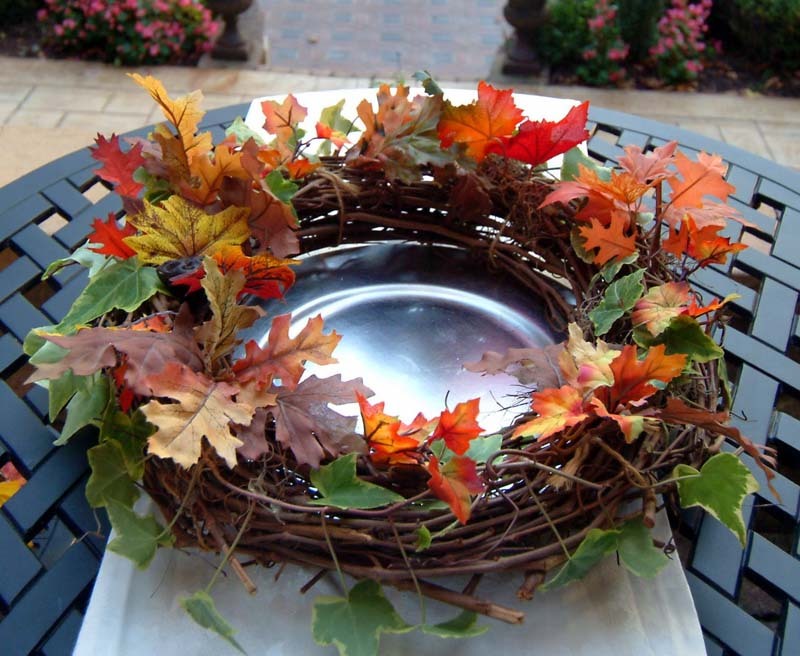 Try evergreens or wreaths in your centerpiece creations. 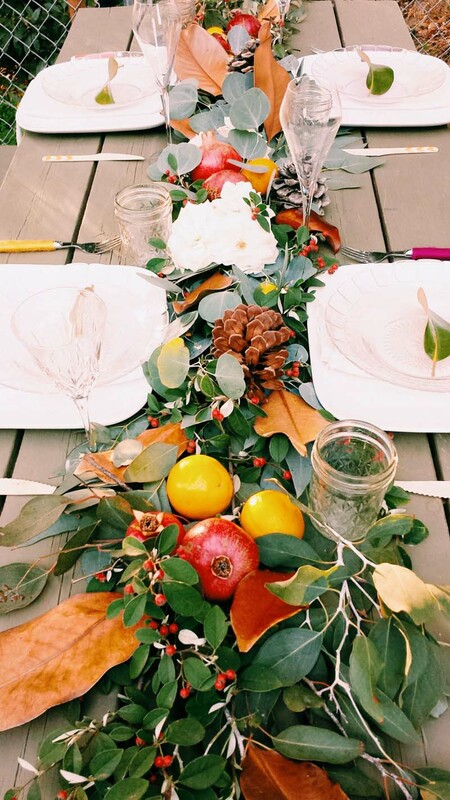 Hide string lights in the wreath. Use matching linens. 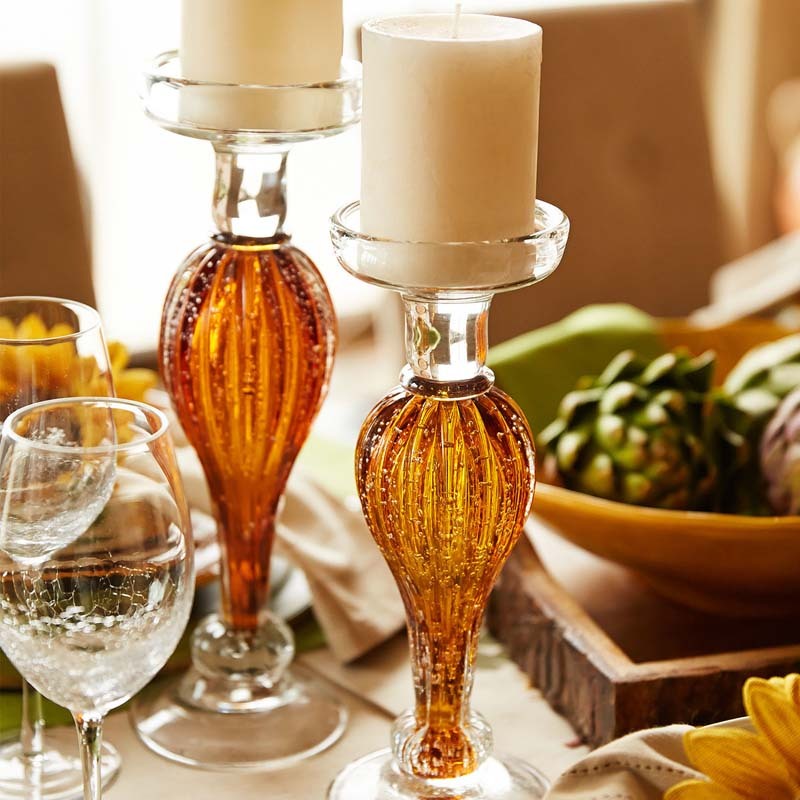 Coordinate it all with your favorite holiday knick knacks, crystal, fine dinnerware and decorative candles and don’t forget your light effects. 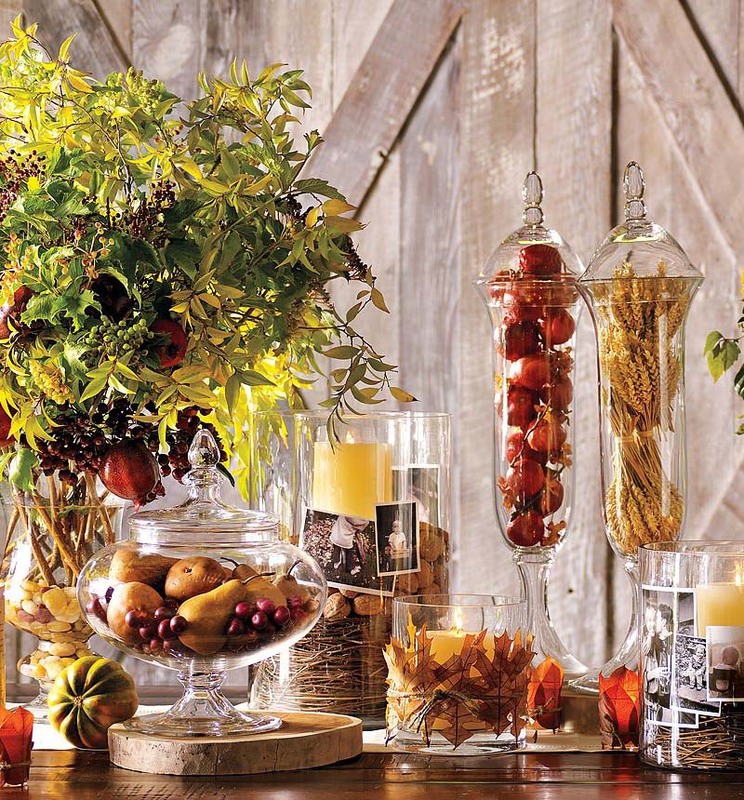 Create atmosphere and a relaxing mood with String lights, LED lights, or flameless tea lights. Remember scent. 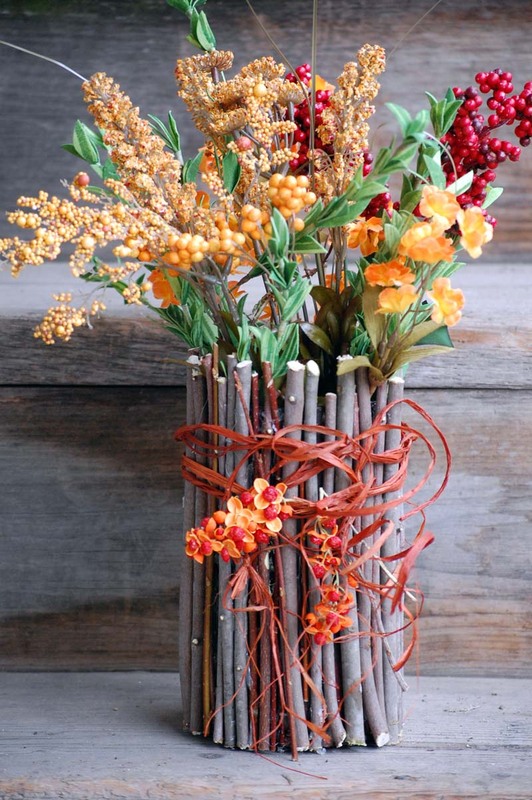 A quick and easy potpourri can be made in a tealight warmer by adding a 1/2 cup orange juice with a couple of cinnamon sticks and some whole cloves. It lasts for days! 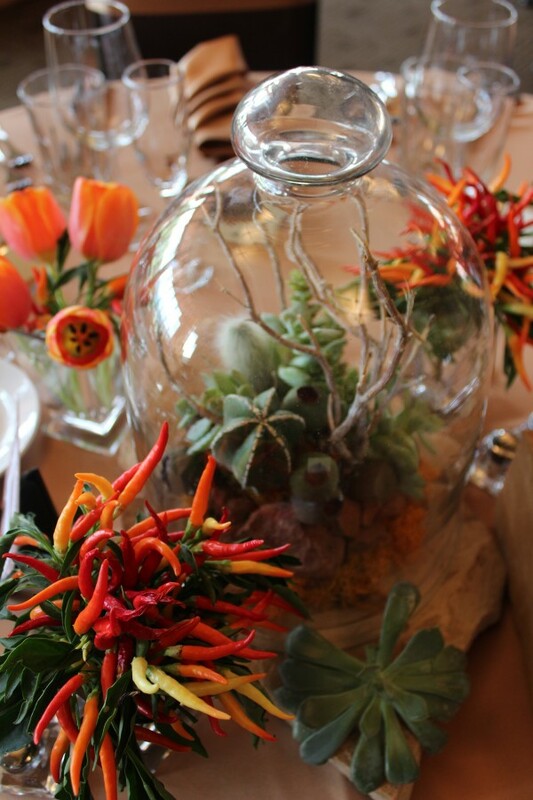 • Chili Peppers, Succulents & Tulips by Show Stoppers – Clever & Great Color! 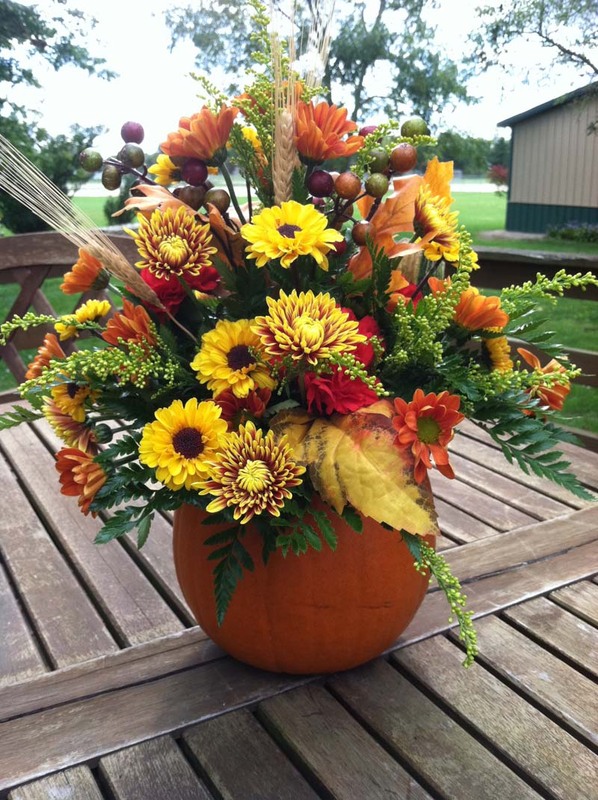 Line the pumpkin with a plastic liner, and fill it with a beautiful, long-lasting flowers.